Most of the tabs in your service area have customisable information boxes either at the top or the side of the main content. To edit an information box, hover over it and click on the little edit button that appears in the top right corner. Simply type to add text to the information box, and use the dropdown menu in the toolbar to choose different styles of text. To add links, click on the link button in the toolbar. 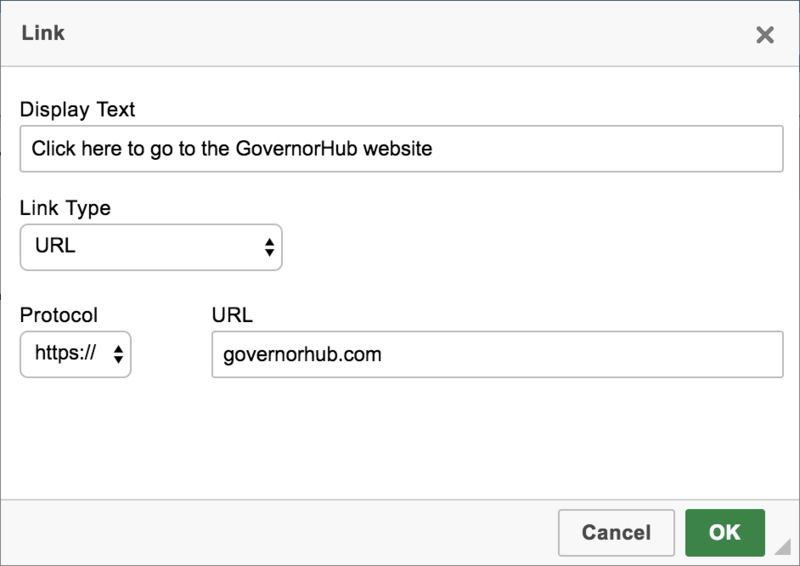 Type the text that you want the link to be displayed as in the Display Text box, then either type or paste the URL for the link in the URL box. You can also add links to an email address by changing the Link Type to 'Email'. To add an image to an information box, you can either drag and drop the image into the editor, or click on the image button in the toolbar. 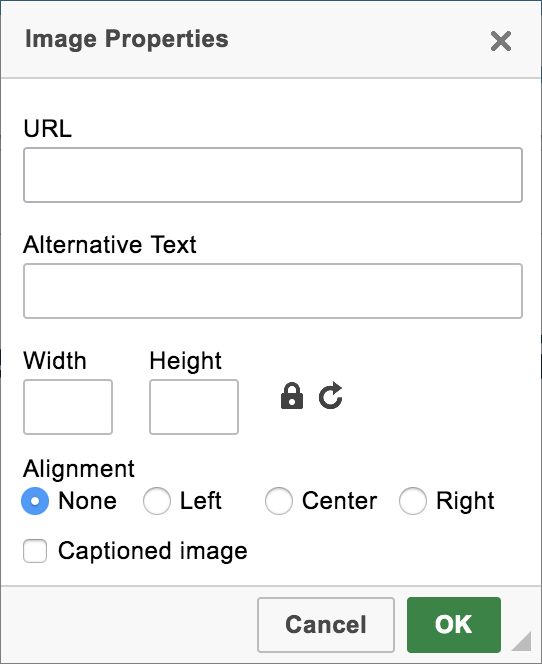 You can then paste the link for the image in the URL box, give it an alternative description, set its width, height and alignment properties, and give it a caption. You can also resize an image in the editor itself by hovering over the image and clicking and dragging on the black square in the bottom right corner of the image.